Children with Down’s syndrome are treated unfairly by the Government and not put on organ transplant lists, it has been claimed. Those with the syndrome are discriminated against as they may not live as long as other children, campaigners claim. A petition calling for ‘people with disabilities, such as Down’s Syndrome’ to be as entitled to organ transplants as everyone else’ has reached nearly 16,000 signatures. They insisted all patients undergo ‘careful assessment’ before they are placed on the transplant waiting list. 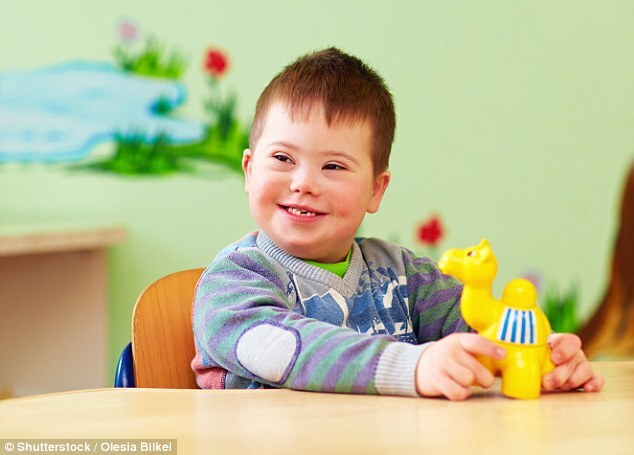 There have been further claims parents are being discouraged from seeking transplants for their Down’s syndrome children as they are unable to give informed consent and are unlikely to have the discipline to maintain the strict regimen of medicine to prevent organ rejection. Parents have spoken of their anguish over the struggle to get organ transplants for their children. The life expectancy of those with Down’s syndrome is only 60, 21 years below the national average of 81. Penny Green, director of the Down’s Heart Group charity, insisted that Down’s syndrome children are not getting referred by cardiac units. She told the Sunday Express that there are two hospitals in the UK that carry out child heart transplants, Great Ormond Street in London and Freeman Hospital in Newcastle. ‘While they are fully prepared to assess a child with Down’s as any other child it seems Down’s children aren’t getting that far because cardiologists at a local level are making an assumption that a Down’s child won’t be accepted because of life expectancy and the ability to comply with the drug regime they have to take for the rest of their lives’ she said. NHS Blood and Transplant’s medical director Professor John Forsythe said that every patient is assessed on an ‘individual basis in terms of prognostic and quality of life’. ‘Cardiologists assume that a Down’s child won’t be accepted because of life expectancy and the drug regime’ he added.